Hedley was born in 1897, the son of George Griffin and his wife Hannah née Morland. 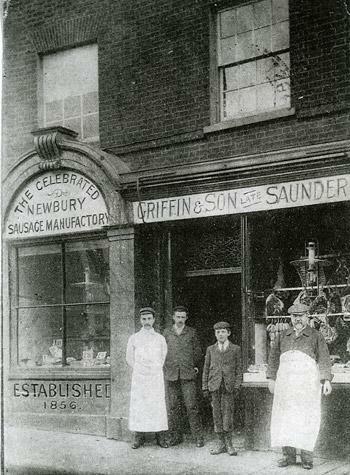 His father, George was a pork butcher whose shop on the bridge is still trading today. George was an active citizen of the town, representing the North Ward of the town as councillor for many years. Hedley was educated at Newbury Grammar School (later St Bartholomew's School). Hedley signed up on 18 December 1915, as a private in the Honourable Artillery Company (regimental number 6506). A year later he was sent to Rhyl in North Wales for officer training and was gazetted as a 2nd Lieutenant in April 1917. He was then able to get home on leave for a few days, during which time the local paper printed an condemnatory account of a pompous young subaltern demanding salutes from a party of soldiers trudging back the their billets after a hard day's work, one of whom had failed to notice the officer; the item suggesting that subaltern's purpose was mainly to impress the girl he was with. Evidently it got around that Hedley was the young subaltern for he felt it necessary to have a disclaimer printed in the following week's paper denying that he was the officer involved. 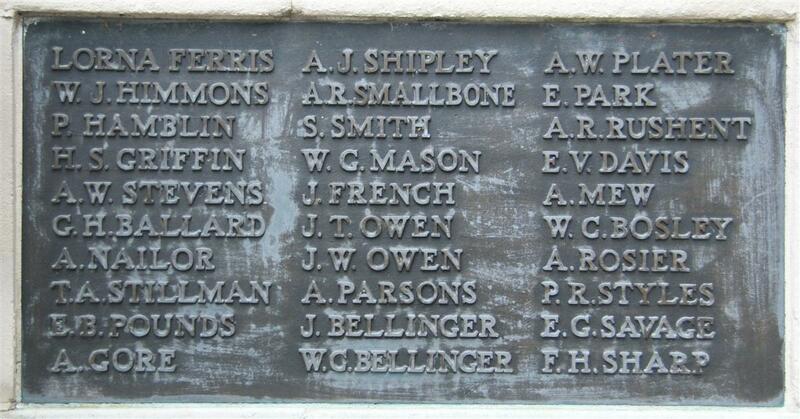 On 27 June he left for France to join the 2nd/4th (Territorial) Battalion, Royal Berkshire Regiment at the Front. Casualties for the 22nd/23rd were as follows:- 7 Officers - 2nd Lieuts F A N WILMOT, GAF GILMOR, F EXLER, C L B KIRKLAND, A K GLOVER, A H ROBINSON and AE SAW wounded. 2 Officers - 2nd Lieuts H S GRIFFIN and D MACKINNON wounded and missing. 32 OR killed. 111 OR wounded. 25 OR wounded and missing. 54 OR missing. The nine officers listed were all platoon commanders leading men against the strongpoints. Only two survived unscathed. Mr Councillor and Mrs George Griffiths, of Newbury, have been officially informed that their youngest son, Second-Lieutenant Hedley Griffin, Royal Berks Regt, is wounded and missing. He had recently been granted his commission, had been in France just three months. This was the first time he had been in the first line trenches. His elder brother, Charles, who is home on leave from France, saw the battalion “go over the top,” but did not recognise his brother, whom he had not met in France. Sympathy will be extended to Mr and Mrs Griffin in their time of anxiety. Many distraught parents and wives faced with the uncertainty involved when a loved one was reported missing resorted to paying inquiry agents to hunt for information in Germany. Some such agents were no more than confidence tricksters heartlessly exploiting the desperate relatives. Cllr Griffin contracted inquiry agents in London to seek information about Hedley, and was rewarded by the sad news that his son had indeed been taken prisoner by the Germans, but had died in hospital on 31 August, nine days after being wounded. However, the inquiry agents did not have to do much for their money as the information came in one of the regular bulletins of such events from the International Red Cross. All the fee paid by Cllr Griffin bought him would have been a slighty earlier notification, the War Office would have notified the family officially within days of hearing from the Red Cross. Lieut Griffin joined on December 18, 1915, the Honourable Artillery Company as a private, and was stationed at Richmond. In the following December he proceeded to Rhyl, North Wales to train for commission rank, and was gazetted in April 1917. He was then sent to Catterick in Yorkshire, and was drafted into France on June 27. On August 29, his parents received the intelligence that their son was wounded and missing on August 22, and it was not until Monday last that they learnt that he had passed away in a German hospital. The deceased has two brothers serving. Charles is on active service in France, and Victor on home service with the RNAS. Another brother, Harold, has served with the Hussars in France a period of seven months, when he became wounded; he is now placed on the Army Reserve. He had been wounded and taken by the Germans to one of their field hospitals (Field Lazarette) where he died. He was buried by the Germans in grave 635 at a German extension to Iseghem (Izegem) Communal Cemetery. After the war his boby was moved to grave XII.D.2 at Harlebeke New British Cemetery, Belgium. This cemetery was created after the war as a 'concentration cemetery'. Bodies were brought there from small cemeteries, country churchyards, German cemeteries and as they were discovered on the battlefields. Back in Newbury he is remembered on his parents' grave in Newtown Road Cemetery, on tablet 1 of the Newbury Town War Memorial, and on the Memorial Board at St Bartholomew's School.